Dilly Dolls is proud to offering items in the "Extend A Helping Hand" marketplace. This is a fundraiser is to help those in Australia effected by the floods. First up a brand new item. 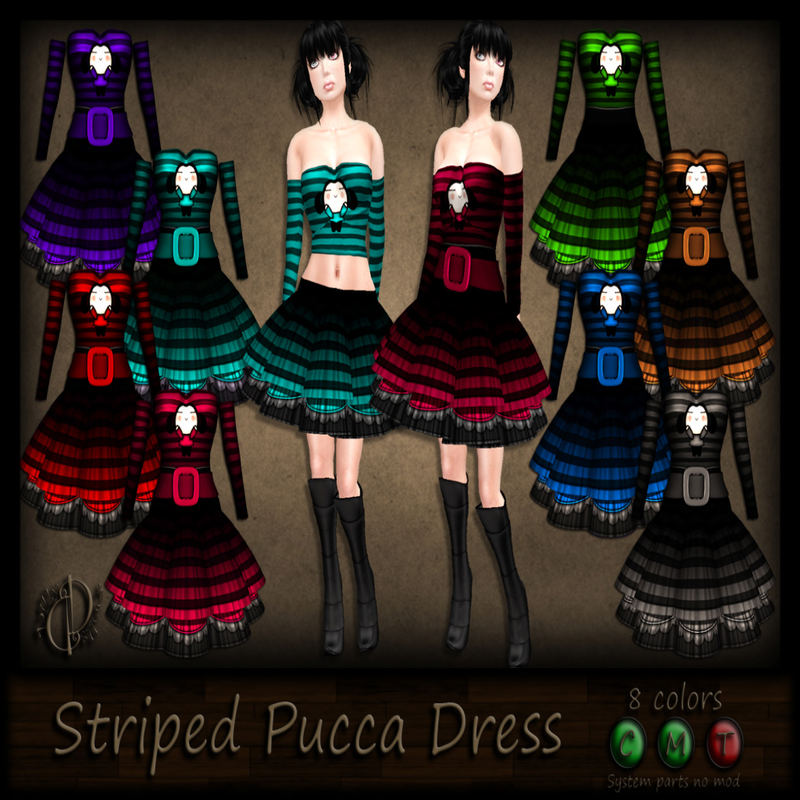 You asked for it and you got it, skirts to match the Pucca top! This "dress" comes with two versions of the top, a skirt waist extender, skirt and belt. So many ways you could wear this! 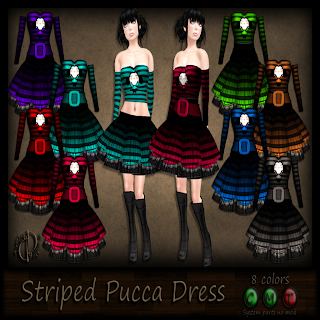 All 8 colors are included in the pacj and 100% of the proceeds from this dress go right to EAHH! Head on over to the EAHH marketplace and pick this awesome charity set up! You can find the EAHH sign right outside the shop. These other great items are also part of the event and 50% goes to EAHH. 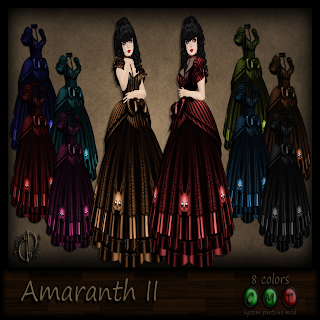 Amaranth II is located in the *DD* shop only. Nancy Nunn is at the *DD* shop AND the EAHH Marketplace. 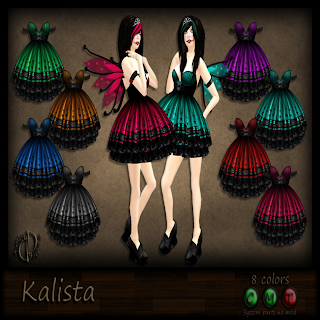 Kalista is at the *DD* shop AND the EAHH Marketplace. Hope to see you at the shop or the marketplace and if you have any questions, please feel free to ask.